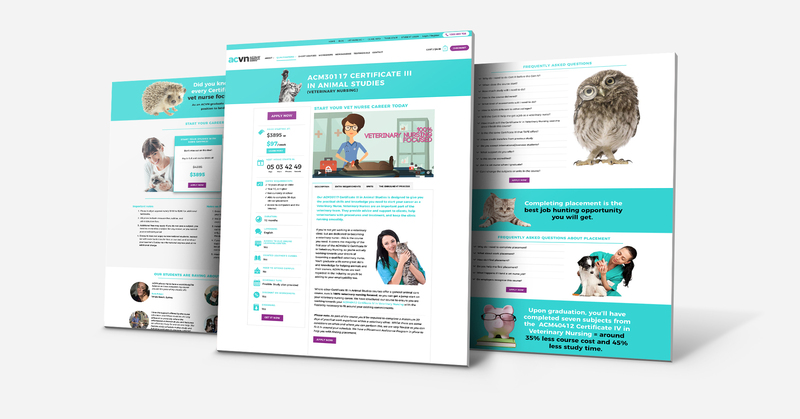 ACVN offers Australia’s most comprehensive online training across all aspects of veterinary nursing. 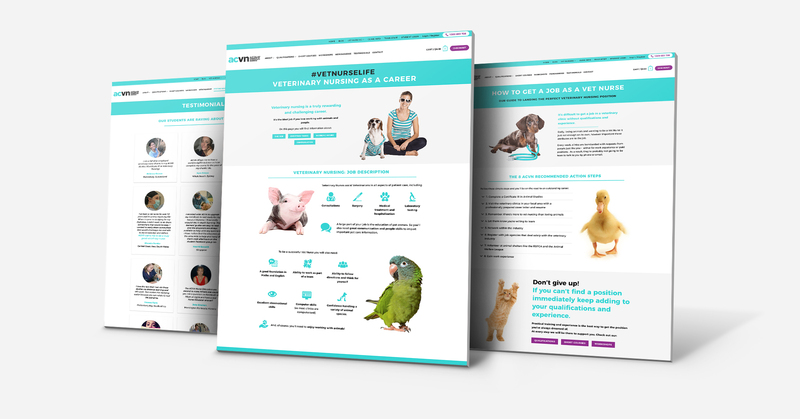 Stella was hired to revamp their existing website using the new visual branding they had just gotten at the time. 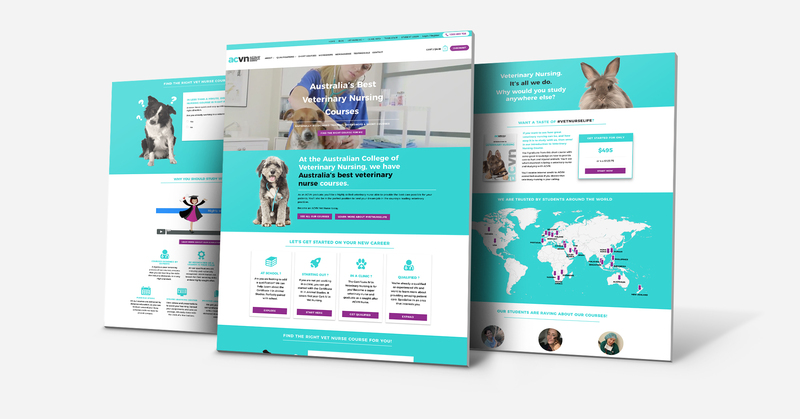 Bold titles, animal focused images and strategic placement of content were all used to deliver a stunning new design.